The scalable Connecticut map on this page shows the state's major roads and highways as well as its counties and cities, including Hartford, Connecticut's capital city, and Bridgeport, its most populous city. To display the map in full-screen mode, click or touch the full screen button. To zoom in on the Connecticut state road map, click or touch the plus (+) button; to zoom out, click or touch the minus (-) button. To scroll or pan the zoomed-in map, either (1) use the scroll bars or (2) simply swipe or drag the map in any direction. (The scrolling or panning method you use will depend on your device and browser capabilities.) At any time, you can display the entire Connecticut road map in a new window or print this page, including the visible portion of the map. Connecticut's primary Interstate Highways connect its major cities and facilitate travel between Connecticut and its neighbors. I-84 traverses central Connecticut, from the New York State border in the west to the Massachusetts border in the northeast, passing through Waterbury and Hartford along the way. From its southern terminus in New Haven, I-91 motorists can travel northward along the Connecticut River, through Hartford and on into Massachusetts. I-95 traverses southern Connecticut, from the New York State border in the southwest to the Rhode Island border in the east. Cities served by I-95 include Bridgeport, New Haven, and New London. Connecticut's auxiliary Interstate Highways link and serve its major metro areas. Northeast of Hartford, I-291 connects I-91 with I-84. East of Hartford, I-384 connects I-84 with the city of Manchester. In eastern Connecticut, I-395 commences its northward route toward Massachusetts at I-95 near New London. Southwest of Hartford, I-691 connects I-91 with I-84. A road trip through the villages, woodlands, and rolling fields of Litchfield Hills showcases some of the state's alluring 18th century New England charm. This 70-mile trip from Farmington to Canaan passes through Topsmead State Forest, Kent Falls Sate Park, and the White Memorial Foundation, a 4,000 acre nature sanctuary where visitors can go hiking, horseback riding, and cross-country skiing, as well as visit a nature center and museum. 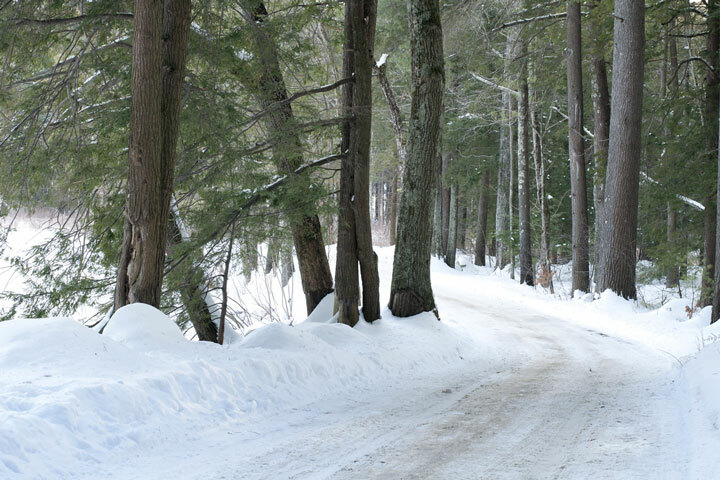 More information about scenic roads in Connecticut is available on the America's Byways: Connecticut web page. For more information about Connecticut's roads and transportation infrastructure, visit the Connecticut Department of Transportation website. For Connecticut road traffic conditions, visit the Federal Highway Administration's Connecticut Traffic Information page.